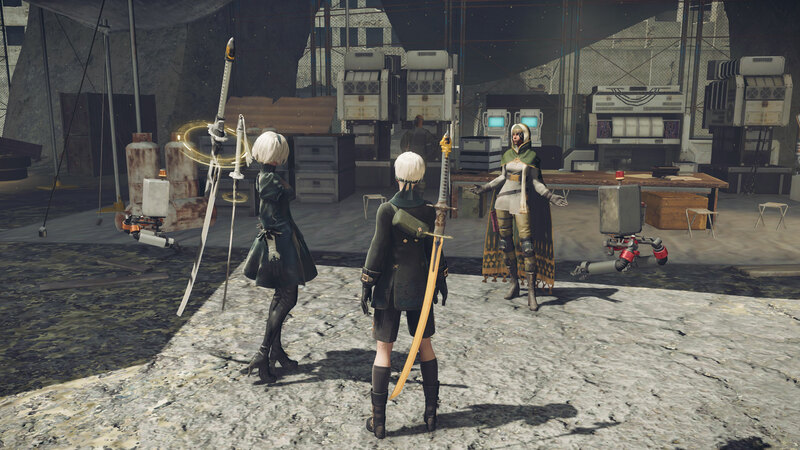 When I finished NieR: Automata pre-launch, I was blown away: I knew that at the very least, the conversation around it would carry on throughout various niche locales and it would be remembered, to some degree, forever. Welp, it's far exceeded even Square Enix's expectations, as the little Yoko Taro and PlatinumGames vehicle that could ship a whopping 3.5 million copies across the PC, PS4 and Xbox One platforms by the end of 2018. By the time protagonist 2B started showing up in other forms of media like Soulcalibur, you knew it had flown out of the niche atmosphere and into the final frontier of space. Although it slowly garnered this level of success, it humbly launched nearly two years ago in Japan on February 23, 2017. To honor that legacy Square Enix is streaming an anniversary celebration on February 20 at 20:00 JST from the Ikebukuro Storia Cafe. If you're interested you can actually attend in-person, so get on that if you don't mind spending 2,500 yen (roughly $20) for the honor, plus a light meal and a drink. For everyone else the event will be streaming with a link to come at a later time. If any big news comes out of it you can expect to see it here!